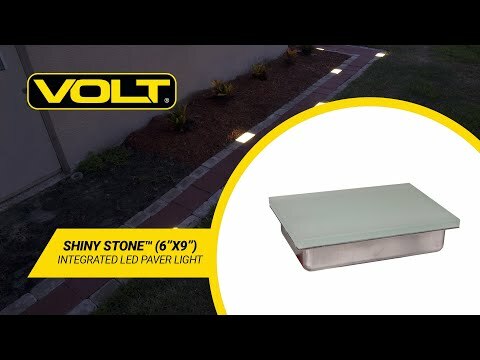 The VOLT® Shine Stone™ Paver Light replaces a standard 6" by 9" paver. With a shallow profile, the Shine Stone™ installs in minutes. The solid glass top is fully supported by a stainless steel body and withstands normal drive-over traffic. Cree® LEDs and drivers are fully potted for moisture protection. The final effect? Patterns of glowing pavers, easy on the eyes, and beautiful to behold.